The New York Times announced that it will launch on the Snapchat Discover platform. 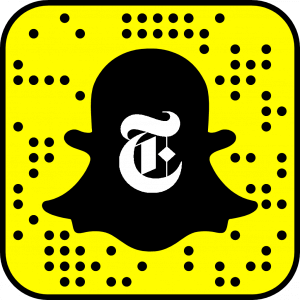 The New York Times will create a daily Edition for Snapchatters in the U.S., Canada, and Australia based on its popular Morning Briefing, which is designed to help readers prepare for their day, and will be published Monday through Friday. Discover is the section of the Snapchat app where Snapchat users can find content from media companies, curated and designed specifically for the platform. Over 150 million Snapchatters use the app every day. According to Nielsen data, on any given day, Snapchat reaches 41 percent of all 18-34 year olds in the U.S. In comparison, an average individual U.S. TV network only reaches 6 percent of the same democraphic. The partnership with Snap will allow the Times to put together a team of top visual storytelling experts to produce a distinctive edition of the morning briefing for the Snapchat community. The Time’s team, as with all Discover publishers, will have editorial independence over the Editions is produces for Snapchat.